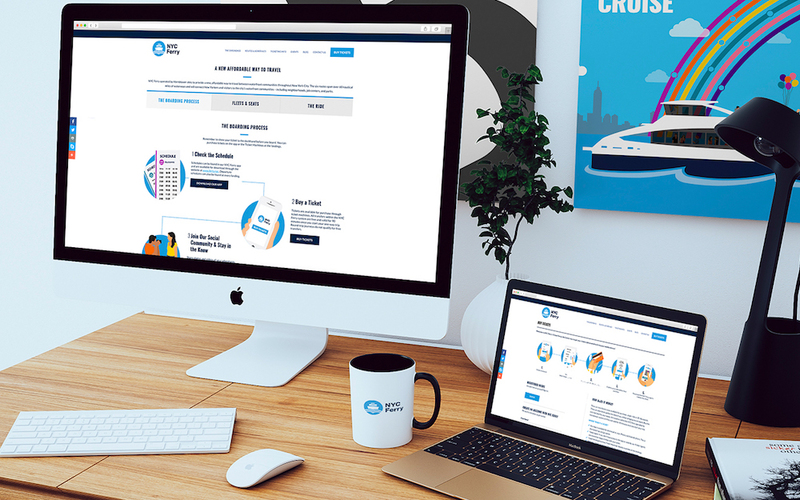 Here’s to a year of overwhelming success for NYC Ferry, which Ruckus helped launch in the summer of 2017 through the provision of branding, web design & development, and marketing services. One year ago, the NYC Ferry launched with a clear mission: return relaxing and efficient ferry transit to New York City. One year later, the NYC Ferry has not only posted a successful start to this mission, but has far eclipsed initial expectations. In its first summer, The New York Times quipped with regard to the ferry’s demand, “Mr. Mayor, you’re gonna need a bigger boat.” The NYC Ferry agreed, increasing the number and size of its boats and doubling the number of active routes. By year one’s end, projections of about 5 million riders per year were doubled. Ruckus is proud of the success of this endeavor and even prouder of the major positive impact the NYC Ferry is having on the city. The service enables riders in transit deserts to reduce their commute time drastically, opening up countless employment opportunities. It offers visitors a tool to explore often-overlooked neighborhoods, infusing capital into them. The NYC Ferry currently staffs 260 city residents and has partnered with more than 100 civic groups, businesses, and community organizations. This positive impact, and the service’s comfortable, efficient rides, are why 66% of riders gave the ferry a perfect 10/10 customer satisfaction rating. It was a privilege for Ruckus to work on a project so dynamic and essential to our city. We’re proud of the ferry’s first-year success and look forward to watching it grow into an even bigger part of the New York City landscape. Here’s an overview of what we did for the NYC Ferry. And here’s NYC Ferry’s Ruckus-made website.